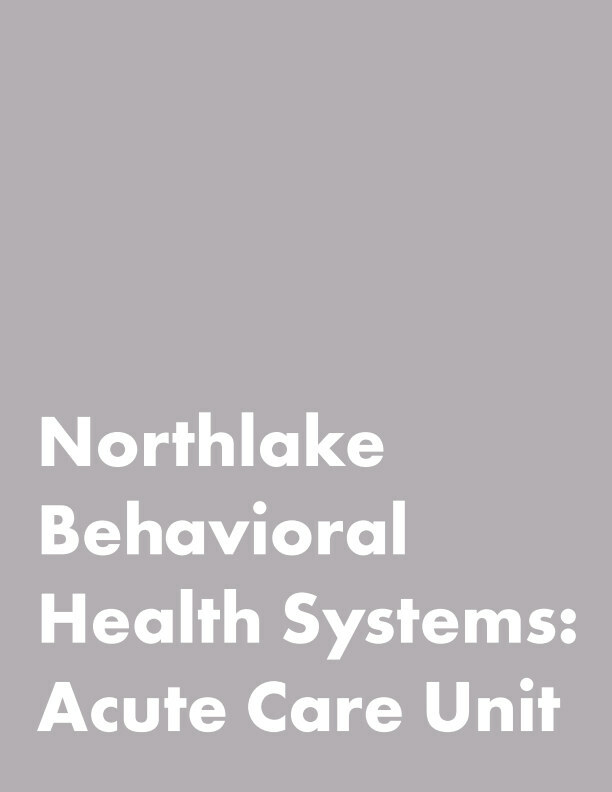 Northlake Behavioral Health Systems (NBHS) Facility was originally established in 1948 as the Southeast Louisiana State Hospital. Since then its’ services, programs, and name have changed and morphed, while the 1950’s style facility itself has remained in its roughly 200 acre tranquil setting. metropolitan region of New Orleans about 45 mile north of the city’s downtown core. Across the street from the NBHS is the State’s 2,800ac Fontainebleau Park listed on the National Registry of Historic Places. residents will be fourteen days. adjacent to the Choctaw Building as “healing gardens” that, together with the indoor spaces, offer an extended and interconnected network of spatial environments for improving recovery, health and wellbeing.